Ask the Teachers: How can one actually incorporate practice into everyday life? Question: A friend who has been a practitioner for many years continues to have a great deal of trouble with her everyday life. Much about her everyday life upsets her, seems like a hassle, is chaotic. She is often resentful and complains about her plight. The only time she seems to be content, joyful and appreciative is either when she is on retreat or at practice programs. So there’s a disconnection between her practice and her life. What suggestions would you give to someone in that situation? Why is intense and ongoing practice seemingly not helping her with her life? How can one actually incorporate practice into everyday life? Blanche Hartman: You have raised a question which is at the heart of our practice. Zen is our everyday life, not some special state of mind. Without knowing the actual circumstances of your friend’s “chaotic everyday life” it is difficult to know what makes her “resentful.” Is there some especially difficult health or financial or other circumstance? Causes and conditions do affect our state of mind. However, I think of resentment as blaming someone else for our suffering, which is not particularly helpful. As for her practice, does she have a regular daily practice, or does she practice intensely but sporadically—only at retreats and special practice programs? Does she have a teacher with whom she practices and trusts enough to let him/her see her and give her candid feedback? 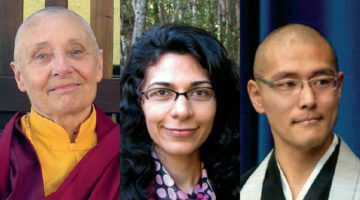 Does she have a sangha with whom she practices intimately? Each of the three —buddha, dharma and sangha—are important supports. As the Buddha studied life, he discovered that all conditioned things (including us) are marked by three characteristics, impermanence, no abiding self and dukkha—unsatisfactoriness, suffering, distress (there’s really no good English equivalent). So our practice and study of things-as-it-is is to find out how to be content, joyful and appreciative in such a world. He taught that grasping for what cannot be grasped leads to suffering, and that letting go of our grasping leads to liberation. A teacher and a sangha and a daily practice of cultivating the awareness of the present moment are important, but there is no easy fix. Suzuki Roshi said, “Zen is making your best effort on each moment, forever.” He also admonished us to practice with no gaining idea. My koan for many years was, What is effort without gaining idea? What is radical acceptance of just this, as it is? An actual experience of the non-duality of all the many dichotomies we make in our mind, especially the dichotomy of self and not-self is crucial. Cultivating awareness of the present moment again and again is crucial. Patience is crucial. It helps to remember that there is nothing wrong with us right now, and that just to be alive is a great gift. But quite frankly, sometimes our neurotic habits of mind are so entrenched and our mental suffering is so extreme that psychotherapy may help us to see where we are stuck. I have found it so on several occasions and there are many therapists practicing nowadays who also practice the buddhadharma. 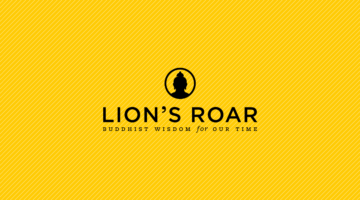 Tulku Thondup: Incorporating meditation into daily life, with its ups and downs, is not easy. That’s one reason serious practitioners sometimes secluded themselves in hermitages for decades. But the challenge today is to find a way to bridge practice and daily life. Here are some simple steps offered in the teachings to help one do so. 1. First you must gain some solid experience in a meditation feeling. Without this feeling there is nothing to apply in your daily life. When you are enjoying some real taste of true meditation experience (such as peace, joy, devotion, compassion) then you are ready to imbue your daily activities with those feelings. 2. Every morning try to meditate for fifteen minutes or more with total focus. The quality and intensity of your meditation is more important than the quantity. Try to get used to doing quality meditation from the outset. That will instill good meditation habits within your mental stream. 3. Throughout the day, perhaps every couple of hours, remember to rejoice for a few seconds or so over the mediation that you did earlier that morning, even if it just a few minutes. Think, “How wonderful, I did meditation for fifteen minutes this morning!” The simple act of rejoicing generates a current of energy that recharges our meditation and maximizes its impact in our daily life. 4. Periodically throughout the day recall the particular feelings you experienced during your morning meditation (perhaps peace or joy). Let yourself totally enjoy that feeling even if just for a couple of seconds. At first, call up those feelings every three hours or so. Then gradually increase this as much as is easy for your life. 5. If you keep doing that, then slowly, after months or perhaps years of effort, you will feel that your meditation experience has extended itself as the foundation for all your thoughts and activities. Such feelings will initiate and establish a habitual basis in which your meditation experience and daily activities become partners, uniting in harmony. So again, the key is to “rejoice” and “rejoice over rejoicing” over your meditation, and to enjoy the “feeling” and the “feeling of the feeling” of your meditation experiences, over and over again in your daily life. Narayan Liebenson Grady: This question of why there is often a disconnection between our practice and our life is essential. 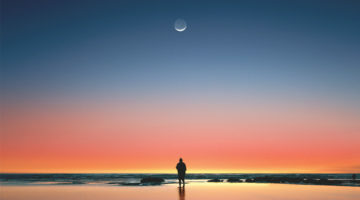 One reason for this disconnection concerns the way we define the word “practice.” In reality, of course, our life is our practice and our practice is our life—they are one and the same. By seeing them as separate, the mind creates an artificial construct. If we see real practice as possible only when we are on retreat, we won’t be motivated to practice when we are not on retreat, which for most of us is most of the time. When we see practice in this limited and fragmented way, we will eventually find ourselves disheartened and disappointed. We may find ourselves peaceful on retreat and reactive in daily life. In the unpredictability of our daily lives, we can learn as much as in the retreat environment. It is easy to agree to this perspective in theory, but very different to actually live it. To live it requires bringing the same degree of dedication to the dharma wherever we are, no matter what we are doing. This means learning to see each moment as having equal meaning. “Intense and ongoing practice” doesn’t help much unless it is actively applied to each moment in life. When we relate to the circumstances of our lives with resentment, it is because we want something to be different than the way it is. As understandable as that attitude might be, it only perpetuates the suffering. To use the circumstances of our lives as material for liberation is to be aware of this resentment. It means being willing to use what upsets us as a way into a deeper understanding. I do think that it is absolutely essential to make some time each day for sitting practice. Sitting every day enables us to bring more mindfulness into the complex arenas of our daily lives. Combining this with longer practice periods in a supportive retreat environment is an integrated approach. When I first began to practice, many years ago, I thought the only way to truly live a peaceful life was to go on lots of long retreats. But while teaching at Cambridge Insight Meditation Center these past eighteen years, I have had contact with many yogis who are not able to do so, for one reason or another. I have been heartened and inspired to see the profound changes that can come about when there is a real commitment to the spiritual life in the midst of everyday life along with sitting shorter retreats whenever possible. Finally, a gentle reminder not to offer suggestions unless asked. Your friend would need to be aware of this disconnection herself to be receptive to changing it.